If you’ve been struggling with weight and would rather prefer a streamlined approach to taking charge of your routine, there shouldn’t be any qualms in seeking help. Meet Sheryl Salis, a Mumbai-based dietitian who’s helped many of her clients in improving their lives, helped them lose weight and be fitter and healthier. Sheryl Salis works out of her Parle-based clinic, Nurture Health Solutions, a well-being company. She comes well-recommended from her clients who’ve had their own personal journey with her. If someone is looking to lose weight, on needs to get in touch with Sheryl or book an appointment with their team of nutritionists at nurture. Once an appointment has been set, a detailed risk assessment is carried out that includes a lifestyle check, medical history, diet, sleep patterns, stress levels et al. Once you’re on board, a specific diet is chalked out for you, with regular follow ups every 15 days. 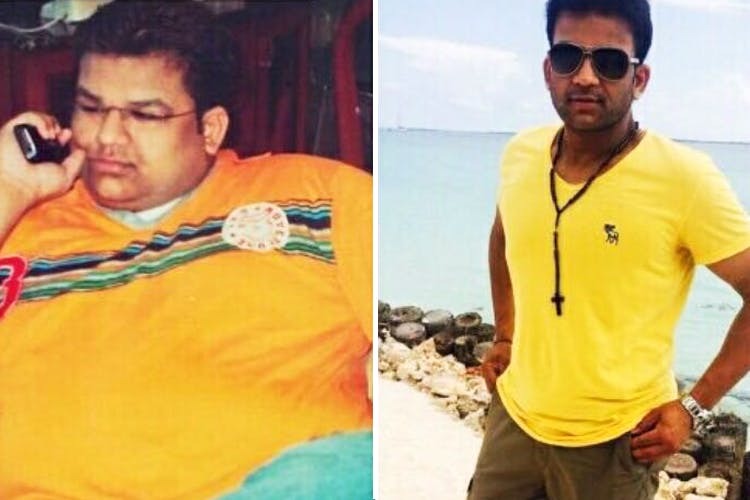 Varun Furia went from 108 kgs to weighing about 93 kgs – with a well thought out diet plan. After a meeting that was set up by his wife with Sheryl, Varun reevaluated his routine, his diet and eating habits. He began eating in controlled portions, skipped junk food and cut down on his calories. He eats home-cooked food, sleeps early and gets up early and has taken up to physical activity. Now he can walk 10 kms as opposed to a struggle that came with even a ten minute workout. Cheat Days: Crossroads 92, Borivali West, Mumbai Bites, sandwiches at Mumbai Bites, Charni Road or indulge in desserts at Love and Flour, Bachelors and Baba Falooda. Similarly, Sonal Rohan Raul, a mother, had a drastic transformation as well. She drastically cut down on her junk intake, sweet and soda. Her fitness hack is eating five to six meals within regular intervals. She makes sure to eat well, and eat right and often goes out for walks. She lost 55 kgs over a period of a year and is currently maintaining her weight at 65 kgs. Cheat Days: She likes to indulge in street food. The gol gappas guy down her street is her go-to cheat meal. The journey to get fit and healthy comes with a lot of dedication, right kind of direction and guidance. If you’ve been struggling with your body weight and would like guidance, reaching out a nutritionist or a dietician is always a good idea.